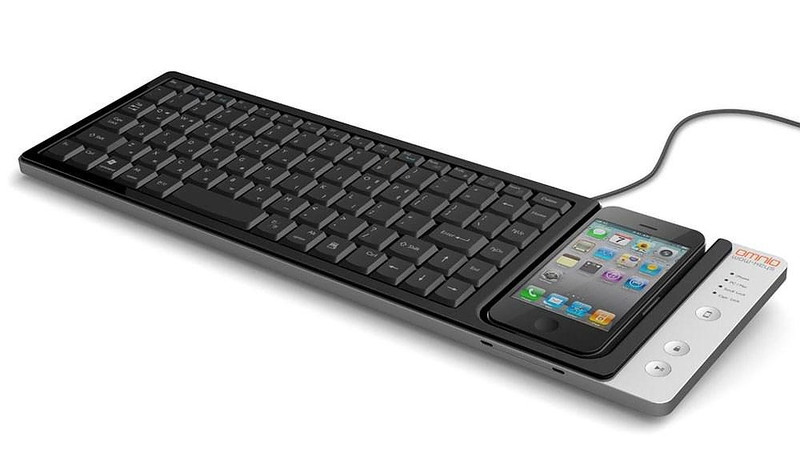 Omnio WOW-Keys iPhone enabled keyboard doubles as a Charging Dock. 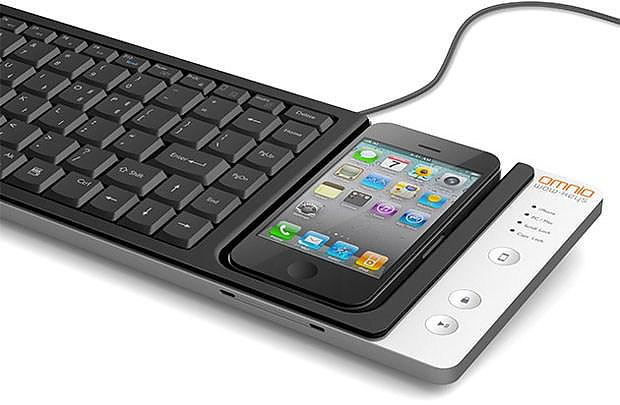 HomeBlogTechnologyOmnio WOW-Keys iPhone enabled keyboard doubles as a Charging Dock. The Omnio WOW-Keys iPhone enabled keyboard is an interesting gadget that combines a full size PC keyboard and an iPhone Charging Dock, while adding functionality to both devices. Omnio’s elegant keyboard serves also as a charger and synchronization device between iPhone or iPod Touch and your computer. Yep that is one less tangled wire in your desk. However it’s not just that. The full-size keyboard is making it easy to input text right into your Apple hand-held devices, features a one-touch PC mode to use solely as a desktop keyboard, offers iTunes synchronization via USB and allows touchscreen controlling of the PC using iPhone’s touch screen….. Measuring 16 x 4.7 x 1 -inches and weighing 1.4 pounds, the full-size QWERTY keyboard is compatible with both PC and Mac, iPhone 4s, iPhone 4, iPhone 3GS, and iPod Touch. 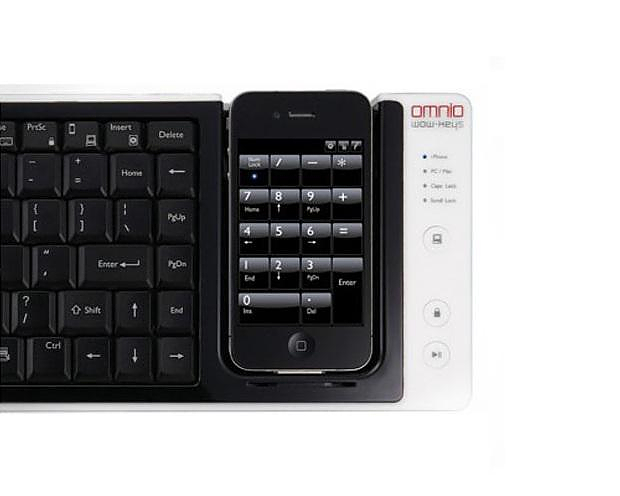 Interestingly the Omnio WOW-Keys iPhone enabled keyboard offers two-way functionality. This means that with the press of a button it can switch from “PC mode” which uses the iPhone or iPod Touch as touchscreen input to the PC, to “iPhone mode” which permits easy file transfer and utilizes the keyboard for text entry directly into the handheld device. When the keyboard is in “iPhone mode” Common smartphone tasks – such as search, playing songs, browsing photos, and turning off your display – are easily handled through the use of 12 hot keys made specifically for interaction with the iPhone. Likewise when in “PC mode” the connected handheld iOS devices can be used to control music playback functions, can assume the role of a numberpad (loaded with a special free app), and with an app like Mobile Mouse Pro, you can even use your mobile’s touchscreen as a track-pad. The Omnio WOW-Keys keyboard is a very smart and well-designed gadget for Apple fans, which combines offers a WOW effect without lacking functionality and essence. 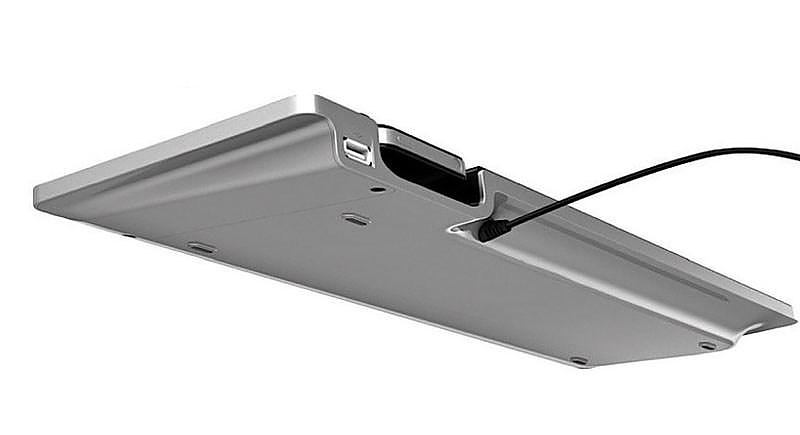 Philips FlexiDock Universal Android Docking Speaker.